Call Me [Brackets] is a literary journal published by undergraduate creative writing students dedicated to the surprising, the odd, the experimental and everything in-between. We publish twice a year—online in the fall, print in the spring—each with a different theme. 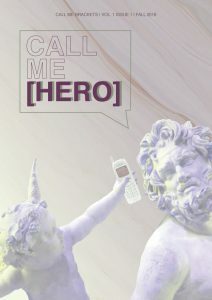 Our first issue, “Call Me [Hero]” (December 2018), examines different versions of the hero and what makes us heroic, while our second issue, “Call Me [Stranger]” (coming in May! ), will explore the unknown and unfamiliar. 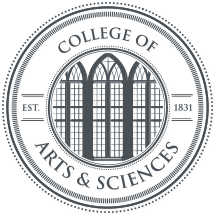 We accept poetry, prose, and artwork from new and established writers and artists outside the University of Alabama (see here for guidelines). Edited, designed, and published each semester by undergraduate creative writers, Call Me [Brackets] offers UA students the chance to gain editorial experience by producing, managing, and promoting a literary magazine. Through the project, students investigate the world of small presses, print culture, and web design, with an emphasis on literary citizenship and navigating the many challenges of running a literary magazine.